i like chocolate covered almonds. i like listening to music while i paint. i like the idea of turning my family into a nudist colony so i don't have to do anymore laundry. 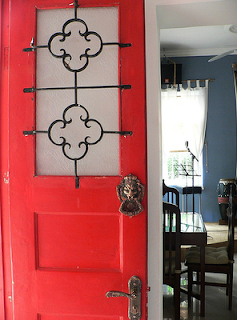 i like this red door. i LOVE it when you link up to Creative Cats!! If you are wondering if you should link up today the answer is YES!! If you are wondering what you can link up today the answer is ANYTHING that falls under the enormous umbrella of creativity: sewing projects, tutorials, recipes, before and after shots, paintings, kids crafts, throw it all my way today!! After you have linked, leave me a comment so I know that you are there and I can move your name and project to the blog page and grab yourself a Creative Cat's button to display on your blog! Vanessa @ Vanilla Lavender~ Teaches us how to make a no sew burlap window valance. It looks so easy and really dresses up a room! Fawnda @ Fireflies and Jellybeans~ Shares a super easy way to make a really cute 4th of July centerpiece! Misty~ Oh my gosh!! You are going to LOVE this Time Capsule project!! Daisy Day~ Shares a fireworks printable page and activity for your kids to start getting excited for the 4th! I have linked up! Thanks for Hosting! My jaw is still on the floor! Your projects are amazing!! I agree completely with your philosophy of creativity. Thank you so much for inspiring me today. I love to paint and I've dreamed of re-doing furniture, and after finding your blog today I'm totally inspired!